is one of the oldest and largest designers and fabricators of animatronic entertainment. Their entertainment robots, special effects and theatrical productions can be seen in the world's major theme parks, family attractions, museums and retail centers. is one of the premier design/fabrication consultants and creators of 3-D sculptures and scenic art for theme parks, resorts, museums, etc. Simon-Kaloi is proud to be a member of the following organizations. The International Association of Amusement Parks and Attractions. Founded in 1918, IAAPA is a non-profit association that works behind the scenes to help attraction owners run their business smoothly and profitably. Specializes in DMX, Servo, and other related products, many of which can work directly with Simon-Kaloi products. Altium Designer is a recognized leader in the field of computer aided design (CAD) of electronic schematics, printed circuit board (PCB) layouts, 3D modeling, and electronic simulation. Simon-Kaloi Engineering (SKE), uses Altium Designer for the design of their latest products. 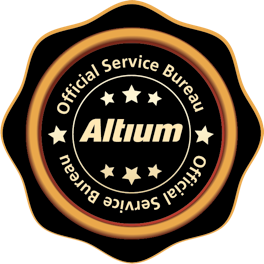 SKE is also an Altium independent Official Service Bureau provider that provides the aforementioned design services. TEA is the only international non-profit association representing the world's leading creators, developers, designers and producers of compelling places and experiences. Our members bring the experience of engaging storytelling and entertainment to a vast number of casinos, restaurants, retail stores, museums, zoos, theme parks and an ever-growing list of destinations that aim to bring a higher level of visitor experiences world wide.